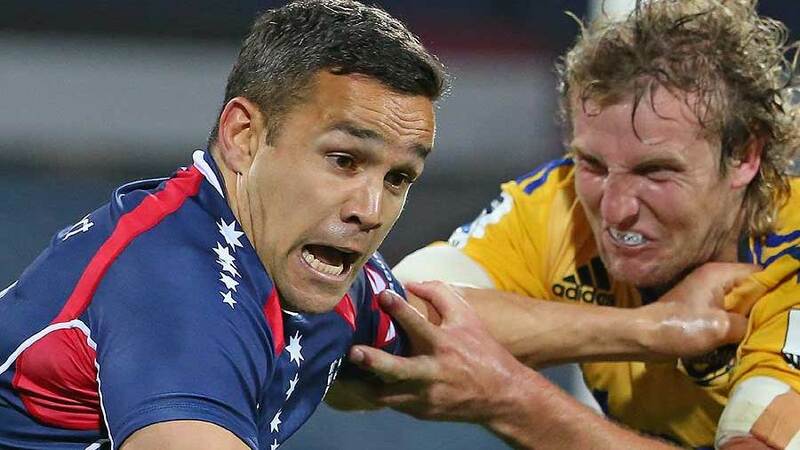 Former All Blacks centre Tamati Ellison is set to play out his Super Rugby career with Melbourne Rebels after signing a two-year deal. The 31-year-old centre, who has four New Zealand caps, joined the club for this season from Japan after nearly 80 appearances with the Blues, Hurricanes and Highlanders in his native New Zealand. He was tipped to take his young family home but decided to stay in Melbourne and continue his dangerous combination with Mitch Inman in the Rebels' midfield. "I was lucky enough to have options back in New Zealand to consider, and with my family missing home a wee bit I had to consider that," Ellison said. "At the same time, I've really enjoyed my time here. "This year's gone a bit too quickly, but we're keen to spend more time here." Ellison's experience will be vital as the club continues to blood exciting young backline talent. "He has been a great addition of experience into a young backline, in terms of standards and expectations," Melbourne coach Tony McGahan said. "For him to re-commit for another two years is absolutely fabulous news for the whole club."